How we turned a tenner into £152 in 6 days. Each year, Bristol University runs a ‘£10 challenge’ where teams compete to make as much money as possible from a £10 investment in under a week. Since I’m looking to maximise my business experience before I graduate in the summer, I thought I’d have a go at getting a team together to give it a shot.Once I’d teamed up with Liv, Ryane and Anders, we sat down to pick an idea and quickly settled upon candle-making. With Mother’s Day that week, Liv already having knowledge in the area and there being lots of opportunities to do things in a DIY way, candles looked like the perfect opportunity. After a gruelling trip on the bus to Hobby Craft in the snow, we sat down to turn some £8 wax, £2 wick sustainers and other supplies that we’d cobbled together from around our homes into our first set of candles. What we didn’t quite count on was how horribly over-priced Hobby Craft was going to be; £8 worth of wax doesn’t go very far. Candle-making, it turns out, is also much harder than WikiHow would have you believe and, in the end, we only produced a single half-decent looking candle. Not that we were going to tell anyone that. Using our one, precious candle, we grabbed the only label that we’d managed to wrangle out of the printer before it jammed and stuck it on to the jar with some honey we stole from Ryane’s housemate (real glue was out of our budget). Using our fake, largely scentless candle, we took the artiest photos we could and began constructing our brand, Native Candles. We whipped up a logo with Canva and plugged it into Adobe Spark to make some banners and imagery for social media. Voilà! With some deceptive photography in hand, I set up a Digital Ocean server to host our Wordpress/WooCommerce site (using GitHub’s education discount to get some free credit) and plugged in a theme I had lying around from some web-development work. Add some fancy copywriting and there you have it: a credible brand for the grand total of £0. Next up was getting some orders in. This was the area I had the most apprehension about but in the end, what gave me the most learning and enjoyment. Selling to friends was easy enough but going out to real vendors with a product you know you’ve messily constructed in your student kitchen the day before is quite different. Ryane and I walked into our first shop and started selling, pretending we had the faintest idea about the difference between soya and paraffin wax or what a ‘pure’ essential oil is. We’d been selling to friends for £5 but apparently our pitch had gone well and the shop-owner said she’d expect £10 and that we could stock up to ten candles if we came back the next day and got agreement from her business partner. In all honesty, after one week’s work, the profit to time-investment ratio wasn’t astonishing per person. If I wanted to, I could definitely earn more in a part-time job. But to have money in your hand that you’ve truly earnt yourself is somehow so much sweeter than getting a monthly pay-cheque. And of course, this was in only one week with a bunch of artificial constraints that slowed our progress and limited our profits. 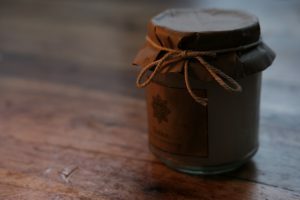 With time, Native Candles could be tweaked further, indeed a couple of team members are going to carry on the business past the challenge deadline. Finally, I’d like to give a shout out to the Career’s Service for running the challenge and for providing some tasty prizes for us.